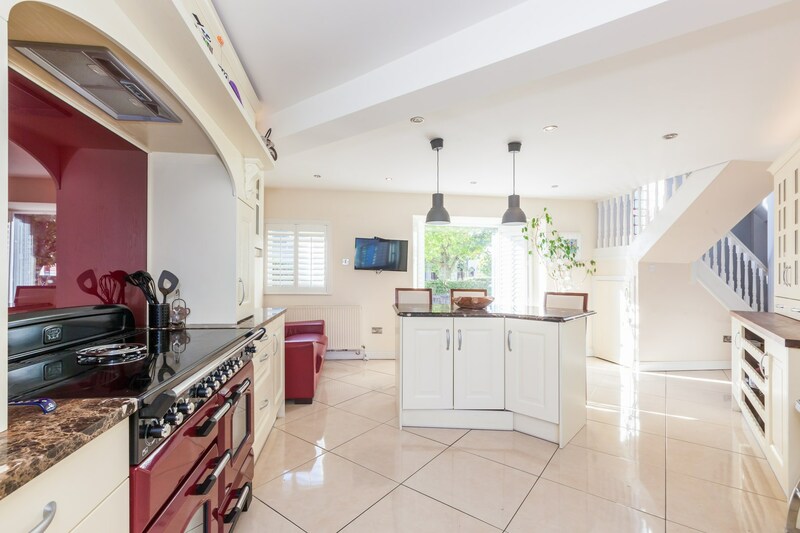 76 Hollybrook Grove is a 4 bedroom semi -detached house in perfect condition. 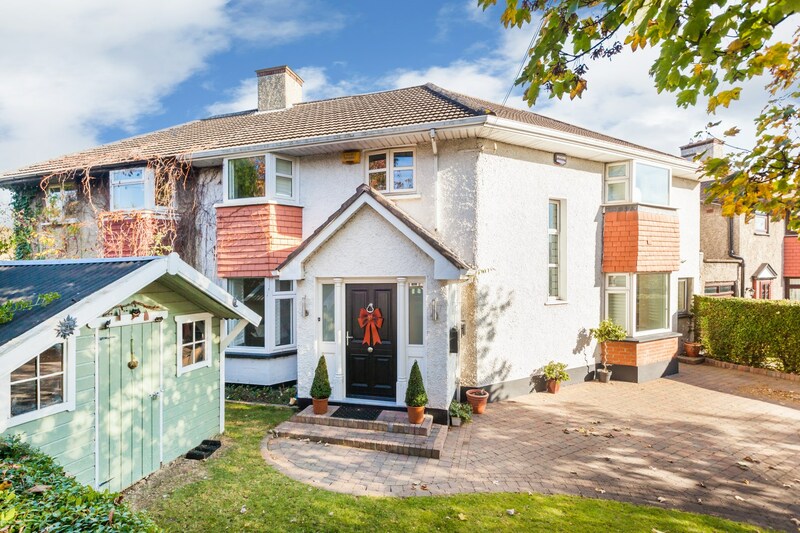 Located in a quiet cul de sac off the Clontarf Road, this 1950’s home has been remodelled and designed to create an ideal modern family home. The accommodation comprises of a large hallway with impressive open staircase and feature double height window. Off the hallway there is a useful storage room and a WC. 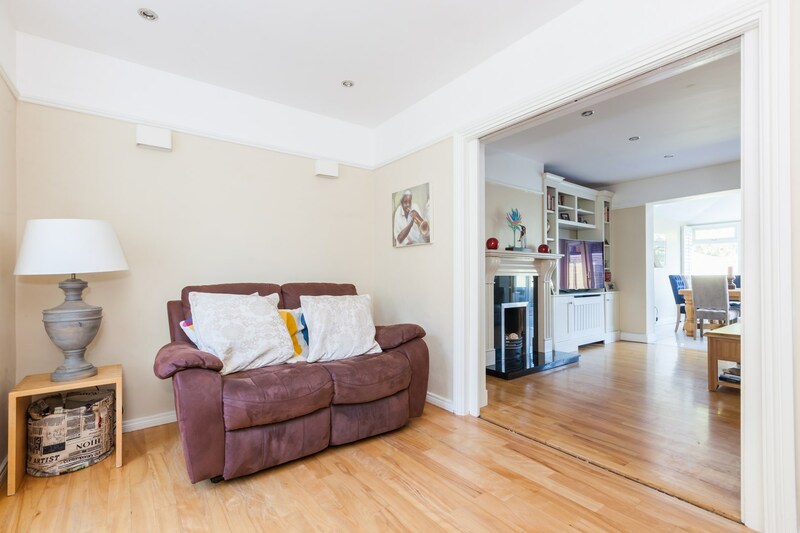 A cosy sitting room with double doors to a living room and dining room leading to a private rear patio and garden. Also off the hallway a spacious kitchen with seating area and large island unit. 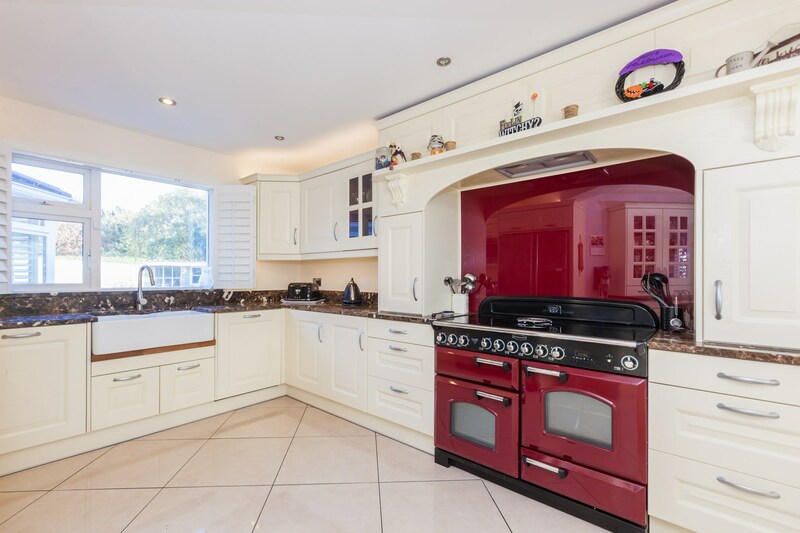 The solid wood bespoke fitted kitchen units with marble counter tops and integrated appliances including a Rangemaster cooker all create a wonderful classic inviting space. 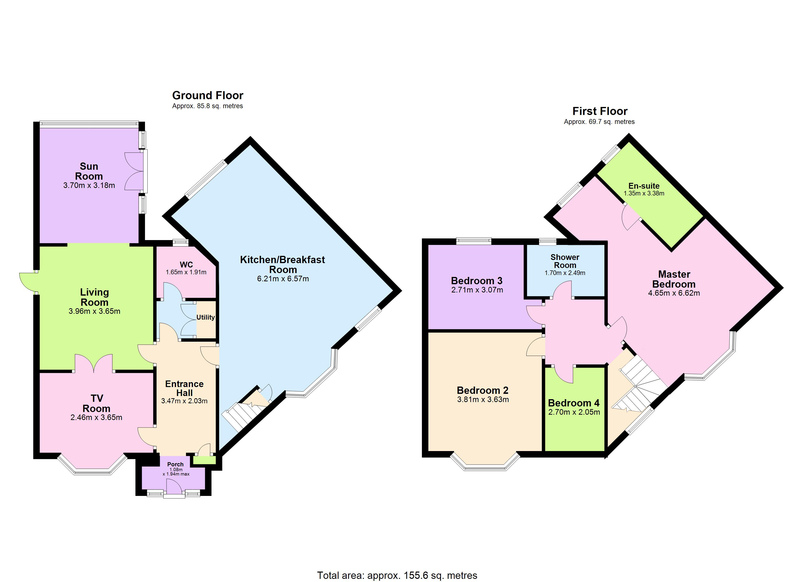 Upstairs there are four good sized bedrooms, a family bathroom and an ensuite. 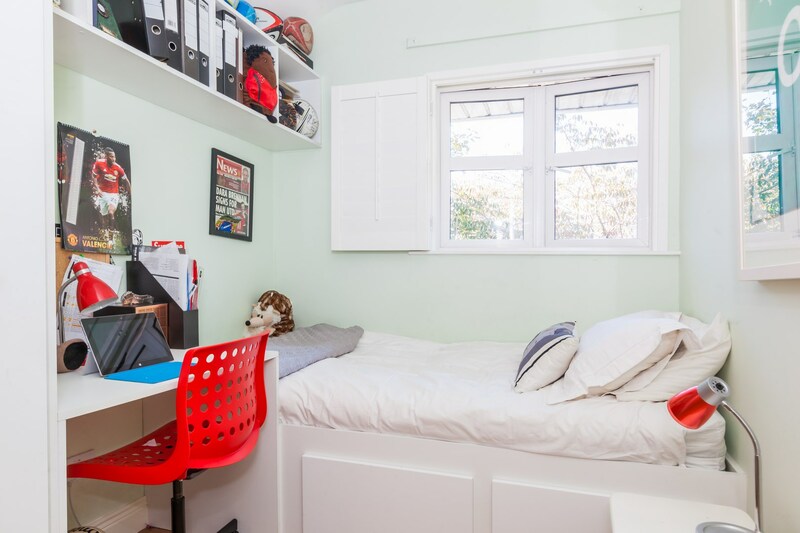 There are ample fitted wardrobes and storage in all of the bedrooms. Outside to the front there is cobble lock driveway with mature planting and parking for three cars. To the rear is a private garden in lawn and patio with a multi purpose shed. 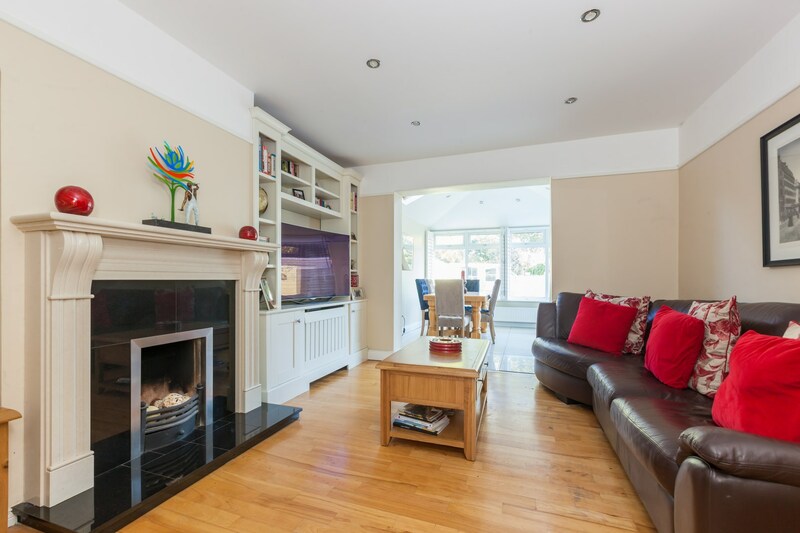 The location is superb, in a cul de sac just a stones throw from Clontarf promenade. 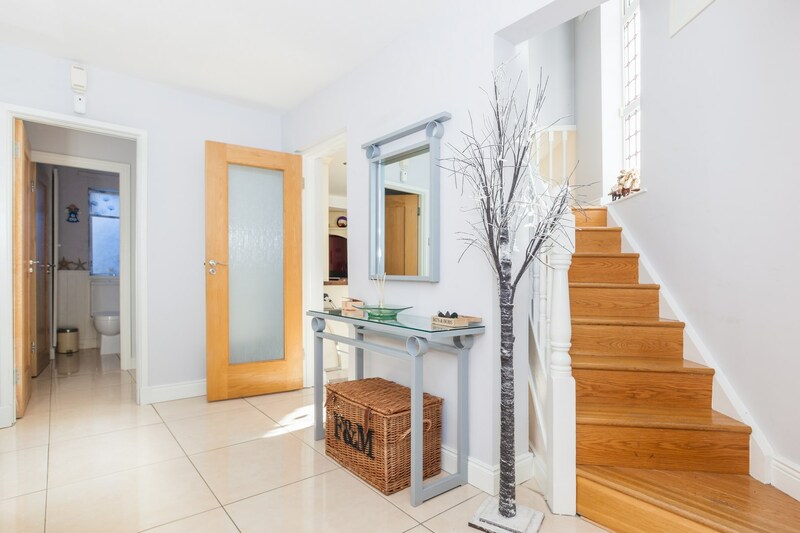 The DART is a few minutes walk and every possible amenity Clontarf has to offer on your door step. It could not be more convenient. Porcelain tiled floor, storage, guest wc/storage room with wc and whb. Oak flooring, stone fireplace with black marble surround and hearth, fitted storage and tv unit. 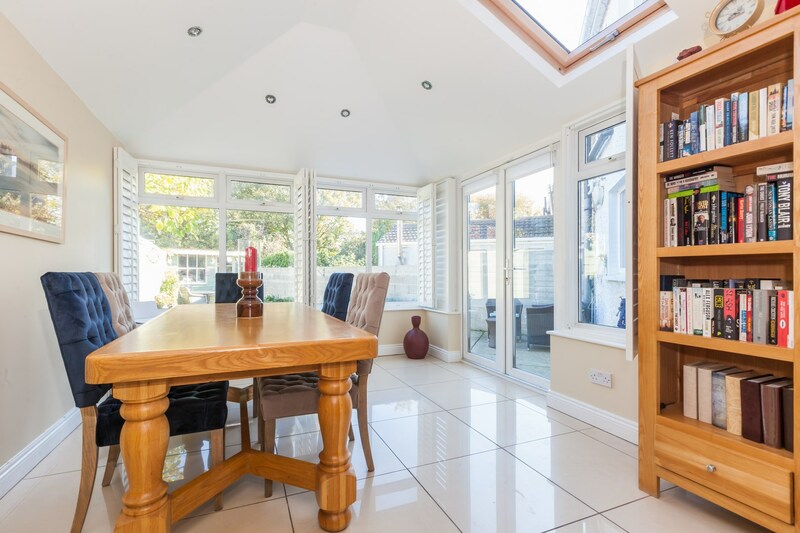 Porcelain tiled floor, doors to patio, pitched high ceiling with 2 Velux windows, spotlights. 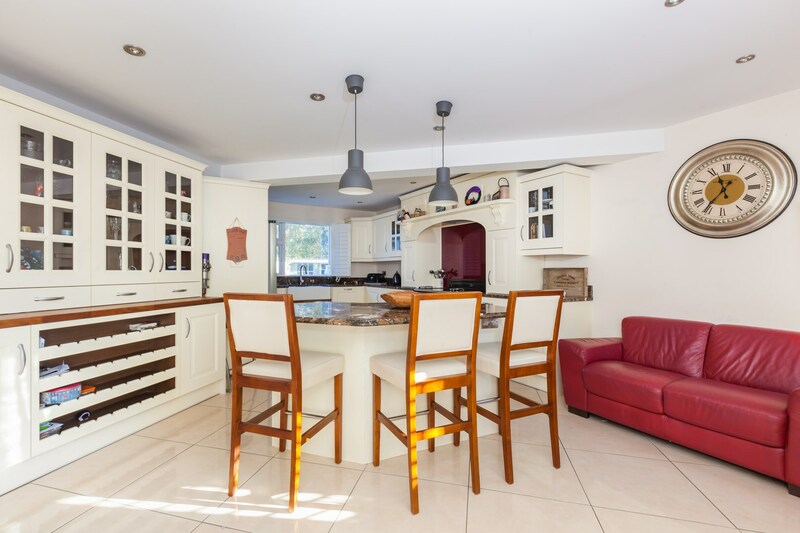 Bespoke Dundalk solid wood fitted kitchen, marble countertop, double Belfast sink, porcelain tiled floor, integrated Candy microwave, Electrolux dishwasher, large island unit, large fitted dresser with integrated lighting. 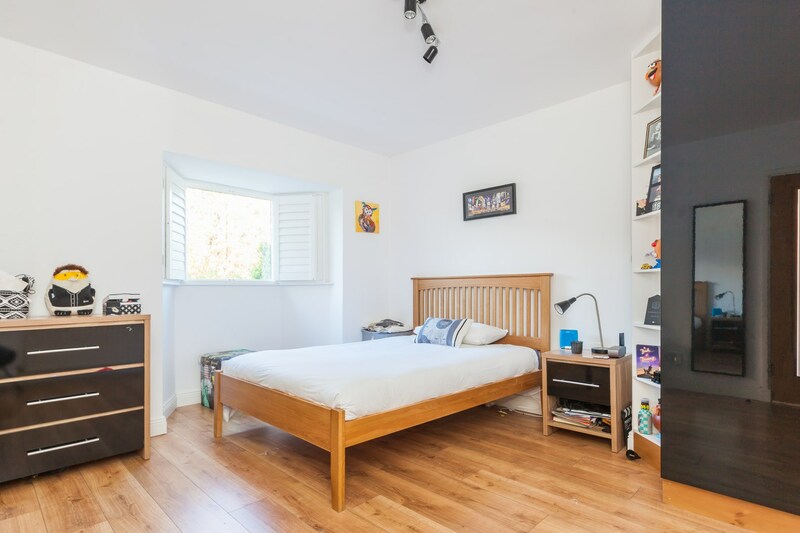 Solid wood floors, spotlights, access to attic storage, two sets of fitted wardrobes. 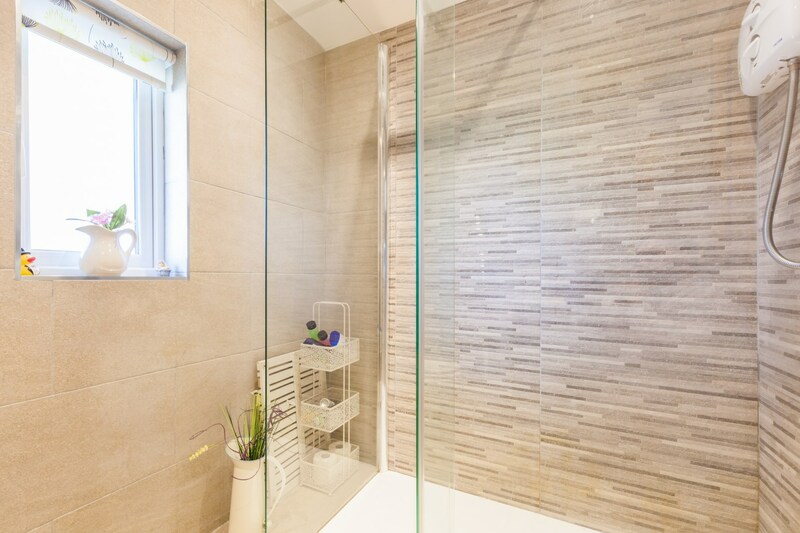 Shower, sink unit, wc, chrome towel rail, fully tiled walls and floor. 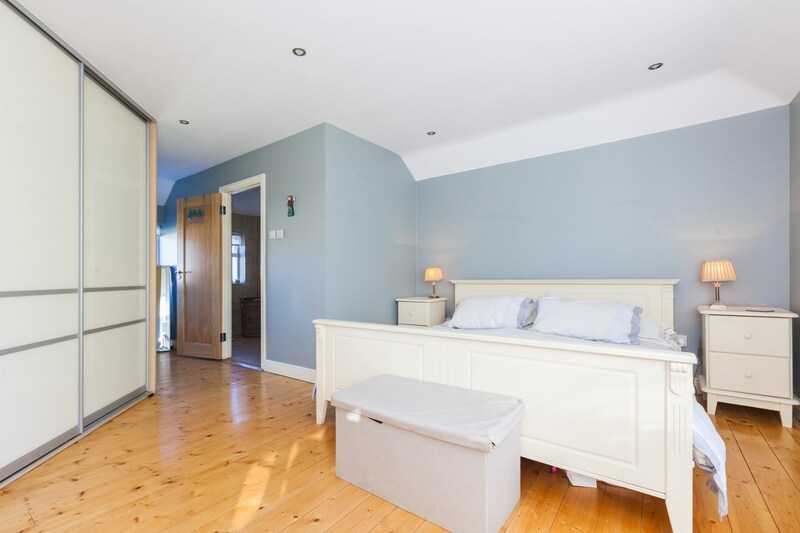 Fitted bed and storage unit, wardrobe and desk, laminate floor. Fitted wardrobes, storage and desk, hotpress, laminate floor. Front garden with lawn, mature trees, storage shed, cobblelock driveway with parking for 3 cars. 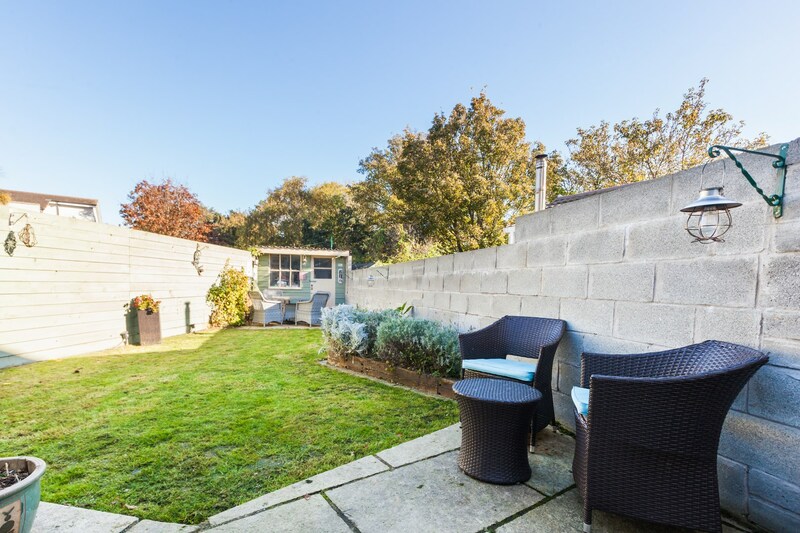 Rear garden with lawn, patio area, storage shed with tap and electricity.